I have always loved Serena’s winter outfits. I always find them as great inspiration on how to keep the winter blues from interfering with fashion. Her outfit from this week’s episode of Gossip Girl, The Princess Dowry, is one of my absolute favourites from Serena. 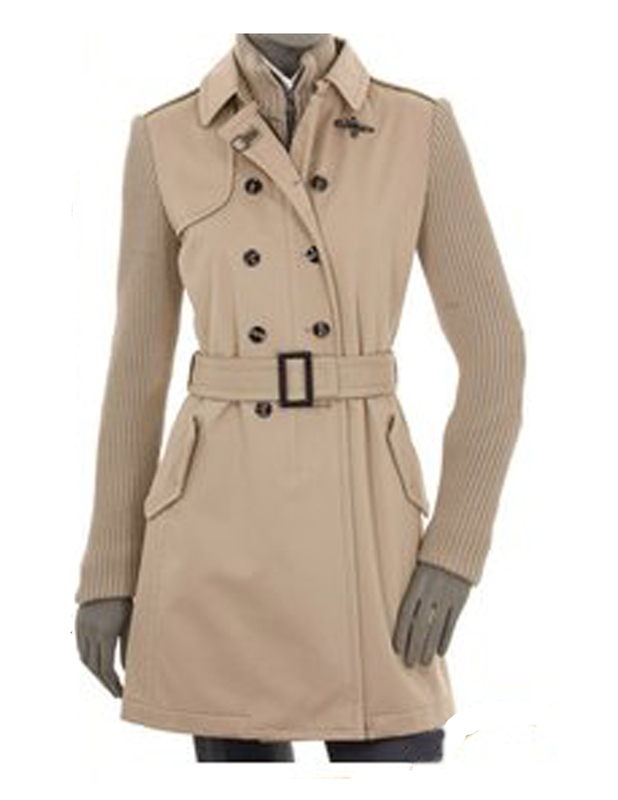 Her trench has features an unexpected twist to the classic trench with the duo-fabric sleeves and elbow patches. Serena wears this Fay Elbow Patch Coat. I’m also loving her Mulberry Spring 2012 Satchel. For more Gossip Girl posts, click here. Georgina’s fashion gives off a pretty good indication of her vile intentions. Take this week’s episode of Gossip Girl, The Princess Dowry, for example. Georgina pairs the Carven Cut-Out Long Sleeve Dress with several dark jewelry pieces. You can tell that she’s up to no good by the colour scheme (or lack of, in this case) of her outfit. And if you haven’t watch this week’s episode, you won’t imagine what she’s able to pull off. Georgina wears this Carven Cut-Out Long Sleeve Dress.